Meredith Berlin, lead teacher of the CAST program, has enjoyed teaching SCT drama school students of every age and level for over twenty years. She has performed as an actor and dancer on stages in Seattle and Washington DC. She is also a director, choreographer, and is the author of The Ghost Light Kids Get Hooked, an adventure inspired by her experiences behind the scenes at SCT and other theaters. Meredith has received grants from both the Seattle and King County Arts Commissions. She has two children. Britt Boyd grew up in the audience at Seattle Children's Theatre and is delighted to teach here as a grown-up! She joined the faculty in 2004 as an apprentice after earning a BA from the University of Washington. In addition to her work at SCT, she has served as a teaching artist for a number of theaters and schools in the Pacific Northwest. Professionally she’s appeared on stages around the country, including the Kennedy Center and Carnegie Hall. Britt loves swashbuckling, musical theatre, and exclamation points – all of which might appear during her classes! A teaching artist since 2005, Ann Marie Caldwell is passionate about arts education. After earning her BA in Theatre from the University of Puget Sound, Ann Marie completed the SCT Teaching Artist Summer Internship and School Year Apprenticeship and the WSAC-sponsored Teaching Artist Training Lab. Ann Marie is the Education Director for Macha Theatre Works, and is the Education Programs Assistant and a teaching artist for Pacific Northwest Ballet's Community Education Programs. 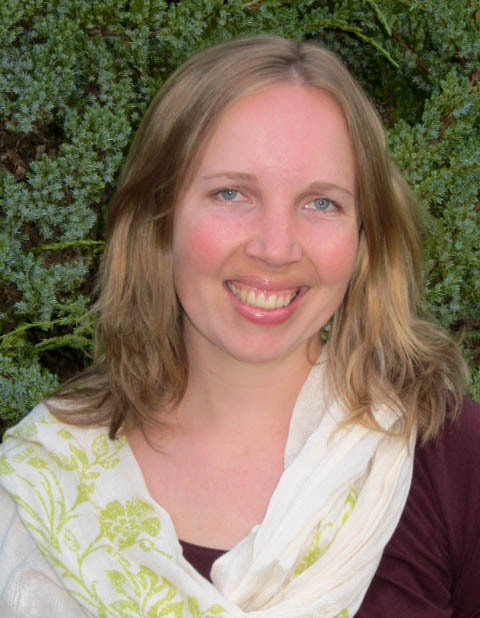 Rachel has been a teaching artist in the greater Seattle area for the last three years. She teaches at various theaters in the area including Village Theatre- Issaquah, Youth Theatre Northwest, Stone Soup Theater and Seattle Children’s Theatre. Recent directing credits include The Tempest, The Crucible, and Dog Sees God at Bellevue High School, and she assistant directed An Evening of Murder and Mayhem: A Radio Drama at Youth Theatre Northwest. She loves Shakespeare, painting, and musicals! Rachel holds a BFA in Acting from AMDA: College and Conservatory of the Performing Arts. 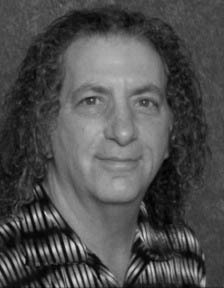 Keni Cohen has over 35 years of experience in the theatre world, as a director, actor, mime, clown and educator. He has combined his love for the theatre with his curiosity of the world’s many cultures by creating his own ensembles in France, Portugal, Brazil, and New Mexico. For seven years Keni was the artistic director of the highly acclaimed teen ensemble “Theatre of Urgency”. While artist in residence in New Mexico, he taught over 70 residencies for all grade levels, and worked for the “Santa Fe Children’s Museum” where he created twelve original family shows. Keni has worked as an actor in classical, contemporary and experimental plays. Keni has worked for SCT as a teaching artist for the last 17 years and 8 years as a summer season play director. Elizabeth is excited to be at SCT as a Teaching Artist! 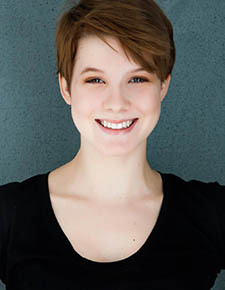 She graduated from Western Washington University (2016) where she earned a BA in Theatre, concentrating her studies on theatre education, directing, and acting. A long admirer of SCT as a Seattle native, she is thrilled to be a part of SCT’s education program and share her love and joy of theatre with students and campers. Elizabeth enjoys playing board games, immersing herself in a good book, and spending time with her pets. Karina Garcia is a Seattle-based director, producer, teaching artist and arts activist. She received her BA in Theatre from Western Washington University in 2015. After graduating, Karina moved down to Seattle to complete the apprenticeship program with the Seattle Children’s Theatre and now has the privilege to teach with SCT, foundry10 and the Seattle Public Theater. As a theatre and teaching artist, Karina works to bring equity and inclusion onto the stage and into the classroom, and strives to give marginalized voices a platform. Kate Jaeger is a Seattle actor, director and educator. 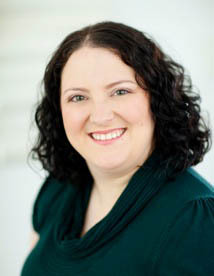 Kate has 20 years’ experience teaching theatre and improvisation. As a performer she has been on the SCT stage several times, most recently as Tall in Naked Mole Rat Gets Dressed. Additionally, she has directed twice for SCT’s Summer Season. Kate has also performed with Village Theatre, Taproot Theatre Company, ArtsWest, Book-It Repertory, Wooden O, Macha Monkey, Jet City Improv, and Teatro Zinzanni. Anita Kuroiwa has been part of the SCT family for the past 23 years. In addition to teaching Musical Theatre, she has choreographed over ten SCT Summerstage Shows – most recently ‘The Lion King”. Four of these shows were also written and directed by her. Ms. Kuroiwa founded the dance program at Seattle Academy and established two children’s dance companies (involving young performers - grades six through 12). She is currently on faculty at Seattle Academy and Seattle Central College. Originally from Chicago, Ill., Ms. Kuroiwa began her training with the Chicago City Ballet. Since then she has trained with Hubbard Street Dance Theatre, Dance Theatre of Harlem, Alvin Ailey American Dance Theatre, and Pacific NorthWest Ballet. Ms. Kuroiwa often travels to France where she does additional training with the Paris International School of Dance. 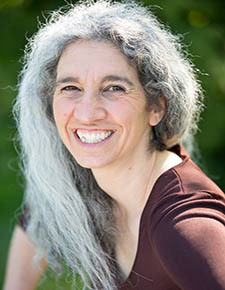 Ms. Kuroiwa's choreographic and teaching credits include working with such institutions as Seattle Repertory Theatre, The Group Theatre, Pacific Arts Center, Evergreen State College, Seattle Central College, NW Folklife, Seattle Contemporary Ballet, Paul Robeson Theatre, Langston Hughes Theatre, and Sphinx Dance Theatre. She has performed, choreographed and taught for over 35 years in the greater Northwest. Maddie Napel is excited for her first summer with Seattle Children’s Theatre! 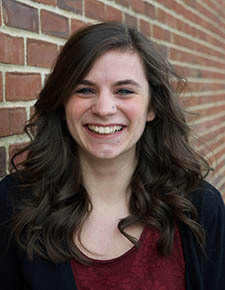 After graduating from Northwestern University in March of 2017 (BA in Theatre and Sociology, focus in Theatre for Young Audiences), she has worked at SCT as the 2017-18 SY Education Administrative Intern and as a House Manager and Teaching Artist. 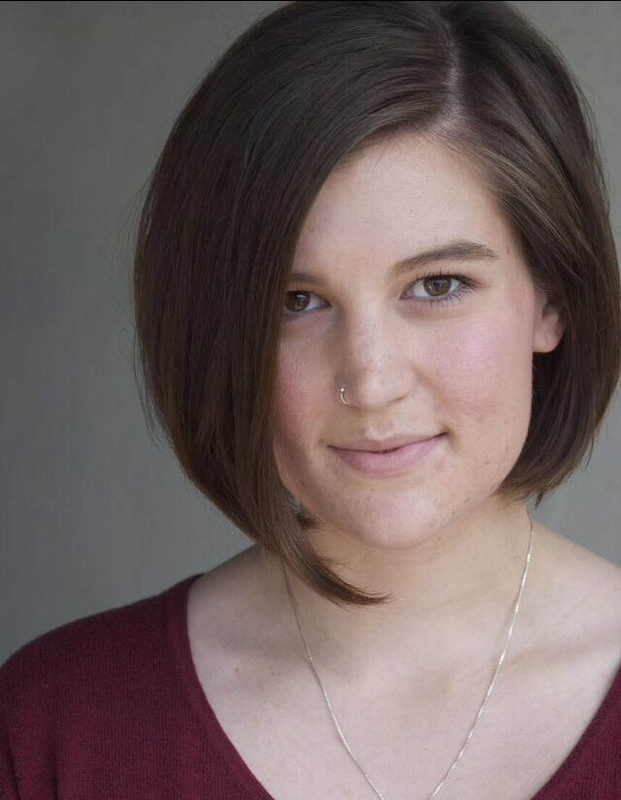 Maddie has also taught with Dandylyon Drama, Sweet Pea Cottage Lathyrus Theatre, Portola Valley Theatre Conservatory (Portola Valley, CA), and Seesaw Theatre (Evanston, IL), and will join Book-It Rep as their Primary Teaching Artist in fall. In all of her work, Maddie is passionate about adapting curriculum to suit the needs of all students, particularly those with physical and developmental disabilities. Ask her about SCT’s new Sensory Drama programs! Beth Pollack is thrilled to be back for another adventure at SCT! A graduate of SCT's Apprenticeship Program, Beth was also a Drama School Intern (Summer 2014) and Drama School student. As a performer, she has been involved in various classical, contemporary, and devised pieces in New York and Seattle. As an educator, Beth has worked with New York’s Mad and Merry Theatre Company, Seattle’s Young Shakespeare Workshop, The 5th Avenue Theater, and ACT Theatre. 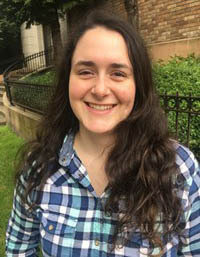 Beth holds a BA in Theatre Studies and the Historicization of Dramatic Literature from NYU's Gallatin School of Individualized Study and would be happy to explain exactly what that means. Dave is thrilled to be back for another adventure at SCT! A graduate of SCT's Apprenticeship Program, Beth was also a Drama School Intern (Summer 2014) and Drama School student. As a performer, she has been involved in various classical, contemporary, and devised pieces in New York and Seattle. 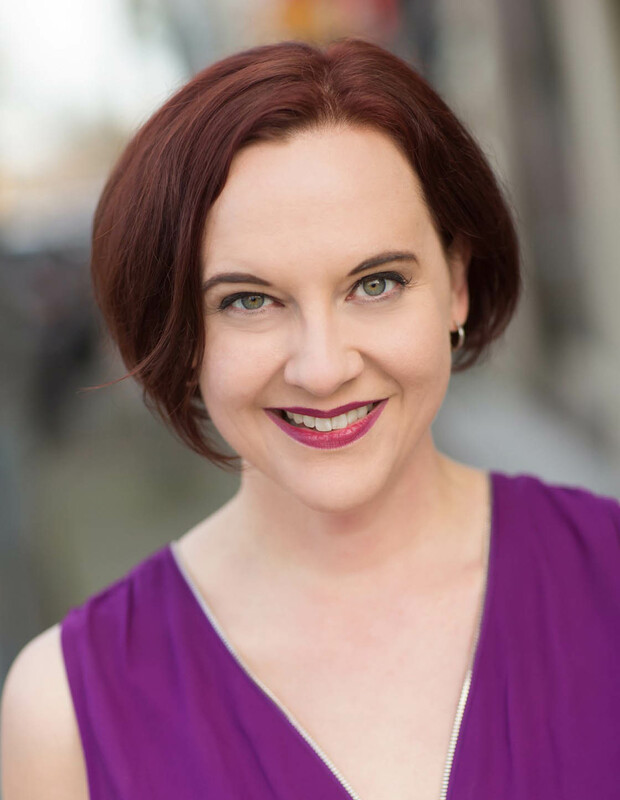 As an educator, Beth has worked with New York’s Mad and Merry Theatre Company, Seattle’s Young Shakespeare Workshop, The 5th Avenue Theater, and ACT Theatre. Beth holds a BA in Theatre Studies and the Historicization of Dramatic Literature from NYU's Gallatin School of Individualized Study and would be happy to explain exactly what that means. Samip is an actor, director, and teaching artist from Charlotte, North Carolina. He has worked as a teaching artist with public and private schools in South Florida, New York, North Carolina, and internationally in Kenya, India, and China. 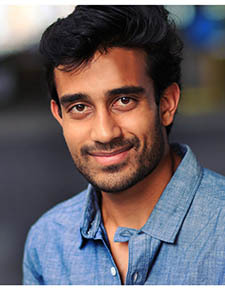 He most recently directed The Who And The What (ArtsWest Playhouse), Guards At The Taj (ACTLab), and projects with Pratidhwani and Forward Flux Theater. 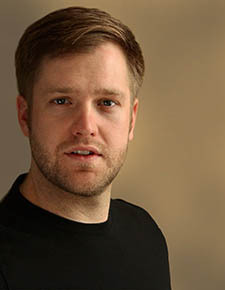 Regional acting credits include plays with Arena Stage, Playmakers Repertory Theater, Eugene O’Neill Playwrights Conference, Shakespeare Theater Company, and assistant directing with the Oregon Shakespeare Festival. He has held workshops and residencies with the Kennedy Center, Lincoln Center Education, Emerging Artists Theater, and LaGuardia Performing Arts. His short film The Faucet, which he wrote and directed, screened at the Oxford Film Festival and Toronto Short Film Festival. Samip is a member of the Actors Equity Association and holds a BFA from the North Carolina School of the Arts. B. Alex Reed, a Flint, MI expat, is thrilled to begin the next stage in their career at SCT this summer! Alex received a BA in Theatre Performance from the University of Michigan – Flint in 2012. 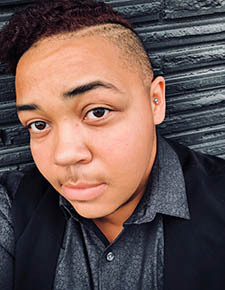 Since graduating college, Alex has worked with several Michigan theatre companies, honing their role as writer, director, poet, performer, scenic artist, and most importantly educator and mentor. Off the clock, Alex lives for new adventures, puppy cuddles, chocolate-cherry ice cream, and chasing sunsets. With a penchant for equity and social justice, Alex is a champion for underrepresented groups, and is excited to start building relationships in local communities here in Seattle. Angela has been a Teaching Artist at Seattle Children's Theatre since 2003 and directed Once on This Island for SCT’s summer season in 2009. She has taught theater classes at Youth Theatre Northwest, Stone Soup Theatre, The Evergreen School, Evergreen City Ballet and Whitman College Summer Dance programs. Angela has been Music Director and Choreographer for Bellevue High School’s Spring Musical Productions since 2003, performing with BHS students at the Edinburgh Fringe Festival in Scotland in 2013 and just returned in August with Fiddler on the Roof! She will be directing Dracula, the Musical in October at BHS, of which she wrote both the book and music, and has become an annual event. She has Choreographed and Music Directed Little Mermaid, Willy Wonka and Once Upon a Mattress for Chinook Middle School, and will be doing Suessical in March, as well. Angela is the summer coordinator for Theater Works in Bellevue www.theaterworksinbellevue.com. 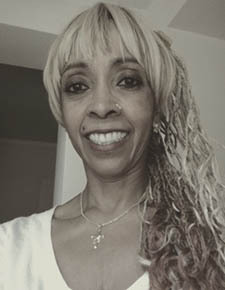 As a writer and performer with Events on the Edge, Angela has composed over 200 songs for Variety Plus Theater, which she co-founded with her husband in 1995 www.varietyplus.org and will be perfoming in their brand new musical, The Odyssey to Excalibur in November at the Meydenbauer Center. 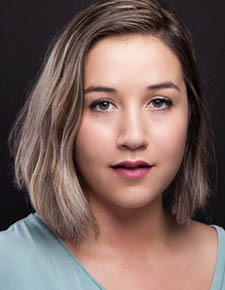 Angela currently serves as Principal Accompanist at Spectrum Dance Theater and Dance Musician at Pacific Northwest Ballet, Cornish College of the Arts Dance Department and Dance Fremont. As a proud member of the Musician’s Association Local-76, she is also promoting her Music for Ballet Class compact discs and just released her New Age solo piano CD entitled In The Moment, available at: http://www.angelarinaldimusic.com. Marisol Rosa-Shapiro is a New York and Seattle-based performer, director, teaching artist, and creator of original works of theater. She is a graduate of Princeton University and of Giovanni Fusetti's Lecoq-based Helikos School of Theatre Creation in Florence, Italy. Her specialties include mask theater, mime, clown, commedia dell'arte, improvisation, physical comedy, movement- and ensemble-based creation and more. 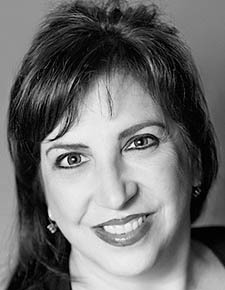 Marisol has been a director, assistant director and producer for Princeton Summer Theater, McCarter Theatre Center, Signature Theatre Company in NYC, Yale Repertory Theatre and Jujamcyn Theaters. 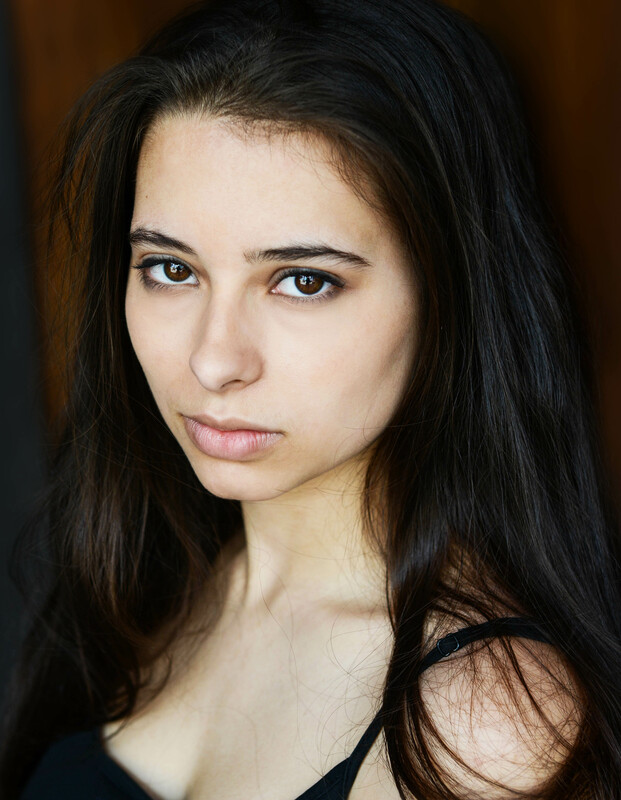 Marisol's performing credits include American Bard Theater's The People, Convergences Theater Collective's Babel, Spellbound Theater's Wink and The Last Coin. Her own red nose clown solo show, Here at Home premiered in the storefront gallery space of a tattoo parlor in Philadelphia and has since toured to the NY Clown Theater Festival, Bloomsburg Theatre Ensemble's Women's Solo Performance Festival, and to Philllips Academy at Andover. 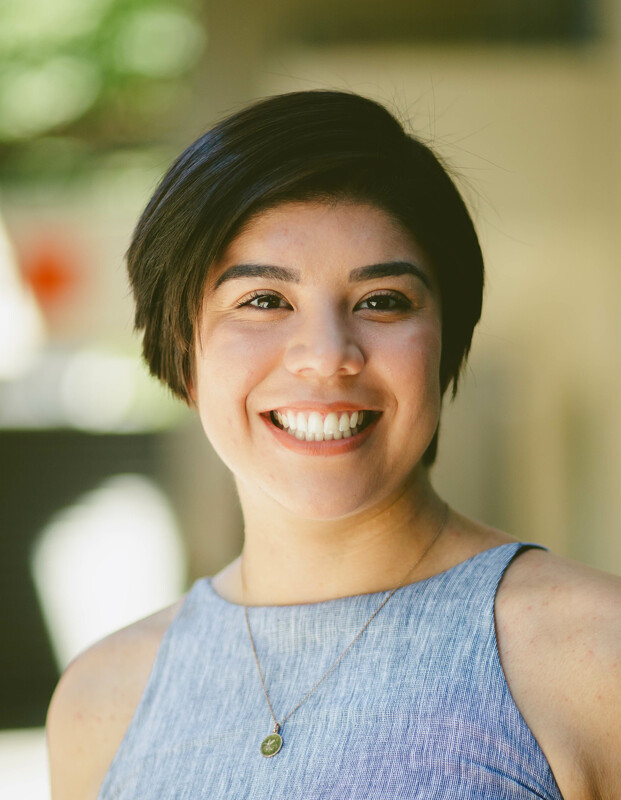 She is currently directing Soledad Ensemble’s The Seven Ravens Project which is part of the New Victory Theater's LabWorks development program for theater for young audiences and families. www.thesevenravensproject.com. Marisol has worked as a teaching artist for The New Victory Theater, Tectonic Theater Project, TADA! Youth Theater, LeAp NYC, Seeds of Peace, At The Well Young Women's Leadership Academy, Phillips Academy at Andover, Sitka Fine Arts Camp, Triangle Associates, Seattle Rep, Seattle Children's Theater, Seattle Theatre Group, Village Theatre, ArtsCorps, and more. Marisol will be a resident artist and curator at FEAST Arts Center in Tacoma in the summer of 2018. She is a proud volunteer performer and teacher with Clowns Without Borders. Andrew Wilkes is an Iowa native now based in Seattle. He received his BA in Theatre Arts from the University of Iowa in 2014 before moving to the PNW. 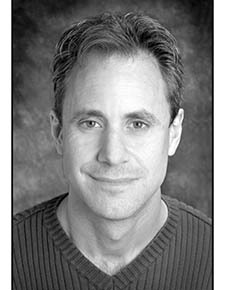 As an actor Andrew has performed with Azeotrope Theatre, Book-It Repertory Theatre, Triangle Associates, Theatre for Young Children, Seattle Children’s Theatre, and regularly for the Colorado Springs Fine Arts Center. Being a teaching artist has brought Andrew into hundreds of classrooms. He has taught theatre in Iowa, Washington, Colorado, and China. 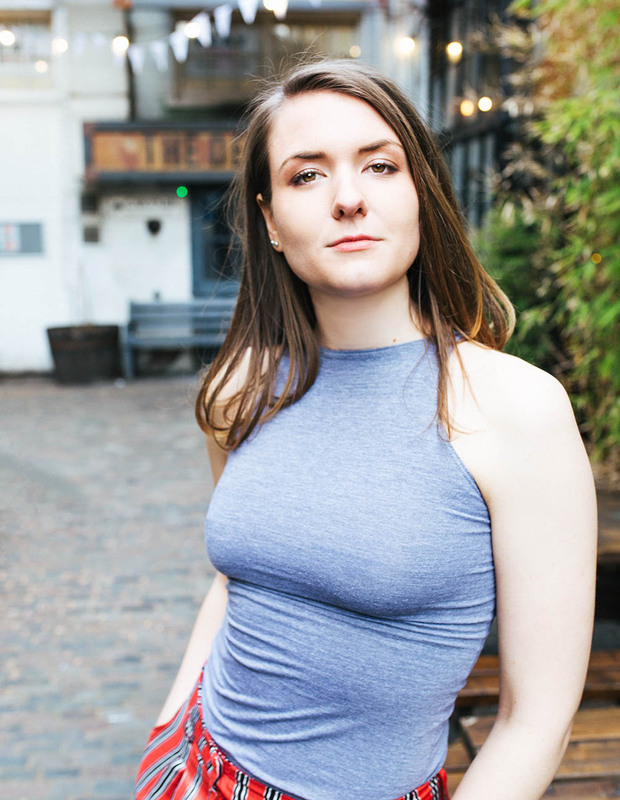 Delaney is thrilled to be returning to SCT after her time as a Drama School Intern in 2016. She studied Theatre and Religious Studies at Northwestern University, where she was lucky enough to work with Lifeline Theatre, the Chicago Dance History Project, and all of the wonderful drama teachers in Evanston Public Schools. Most recently, she served as a Fulbright Grantee in Kinmen, Taiwan, teaching English in a local elementary school. Delaney believes strongly in the positive impacts of arts education and cannot wait to learn from a new batch of young minds! Shalonia is a graduate from the University of Idaho with her BFA in Theatre & Film. She is thrilled to be joining the team at Seattle Children’s Theater as an education apprentice. Having fallen in love with theatre and creating from a young age, Shalonia finds a lot of joy in inspiring future generations of artist and people. Previously Shalonia has worked as a kindergarten aid, pre-school teacher, camp instructor for Discover Day Camps and Kinder Camp at the Woodland Park Zoo and is a teacher for Drama Kids International. Izzy is thrilled to be back at SCT as one of the 2018-2019 teaching artist apprentices! Having just finished an incredible summer as a drama school intern, she cannot wait to get back to creating in the classroom. After graduating from Hope College in Holland, MI with a BA in theatre, she moved to Seattle at the beginning of Summer 2018. Since arriving, she has had the opportunity to work closely not only with SCT, but also Theatre Battery and SecondStory Repertory Theatre. When she isn't in the theatre she enjoys baking and exploring areas in nature. Izzy cannot wait for the upcoming year and all the adventures that will come along with each unique class!